For adventure and action photography junkies, GoPro video cameras are a staple for capturing each raw moment through video or photos. GoPro cameras are the prominent leader in action camera photography and offer a range of products to suit the needs of every customer. The cameras are designed to be attached to helmets, surfboards, cars, and other objects, and are small, tough, and simple to operate. 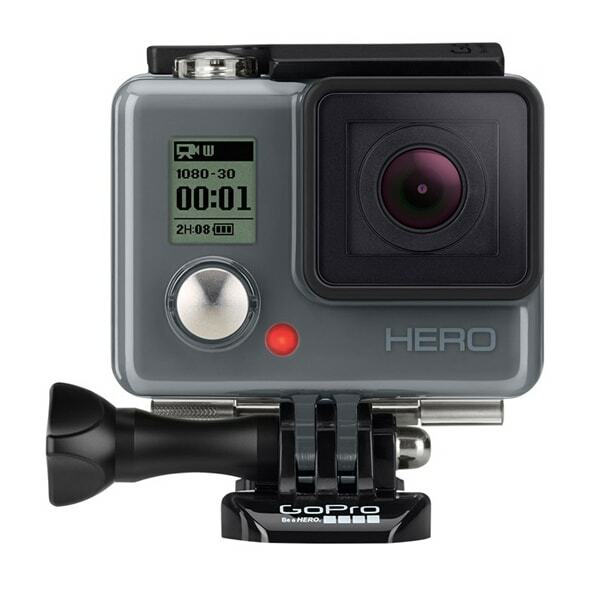 The following list offers insight into the different GoPro models and prices. If you’re looking for GoPro camera reviews & GoPro comparison the top 5 list below breaks down the basic differences between each model, so you can figure out which one is right for you. Capturing memories through photos and videos have become an important component of our modern life. Today’s market demands a camera that will deliver a versatile range of perspectives that will capture moments and angles other cameras can’t. A challenge like this can only be faced by using the best GoPro camera. Standard cameras typically either lack the ability to produce excellent quality footage and stills, or they have to compromise on size and convenience to achieve this level of quality. However, the GoPro Hero4 Silver boasts a compact size, unmatched quality, and an incredible array of accessories that offer consumers the ability to capture experiences unlike any of its competition. If you’re looking for the latest GoPro camera that provides the ultimate experience in quality and functionality, the GoPro Hero4 Silver is for you! With its innovative touch screen display, top-notch graphics, and enhanced user-friendliness, the GoPro Hero4 Silver is one of the many GoPro Hero action camera models that exceeds expectations in nearly every feature. The interactive display allows you to visualize shots before taking them (a feature missing in the lower-end models), as well as reviewing and editing the videos and images right on the spot. The display also offers accessibility to many features of the camera that could not previously be modified, such as toggling between photo and video as well as lens perspective. While the best GoPro cameras are typically regarded for their video capabilities, the Hero4 Silver can capture incredibly crisp and lifelike still photos in a variety of environments through the use of lowlight settings and image stabilization. Even though the quality of still photos offered by the GoPro Hero4 Silver is fantastic, it can’t be matched to its videography. As a leader in the market, the Hero4 Silver is the first action camera that’s able to record 4k videos, so you’d feel as if you were there when watching them! 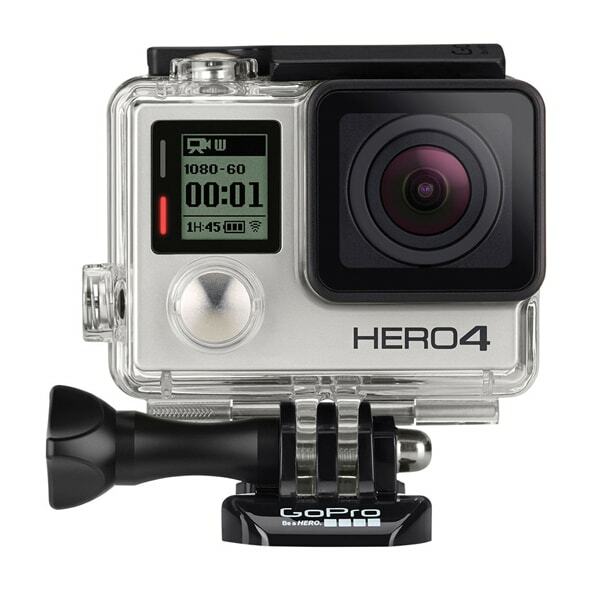 Overall, the GoPro Hero4 Silver Edition is a major upgrade from its previous version, the GoPro Hero3 Silver. It features a magnificent touch screen display, while modernizing its video and photographic technology and enhancing the overall user experience. This makes the camera a worthwhile investment. What is the Hero4 Silver camera good for? The Hero4 Silver camera is perfect for serious action filmmakers and photographers who are seeking a device that is as hardworking and adventurous as they are. It delivers incomparable quality, performance, and versatility which is unmatched by any other models on the market. 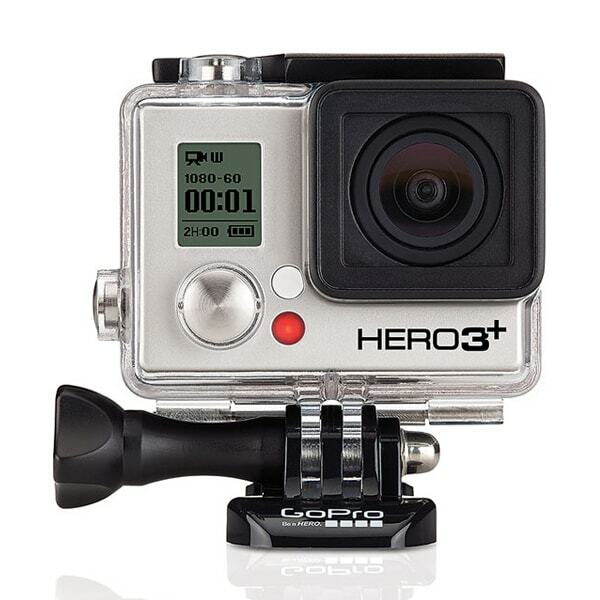 It is compatible with most GoPro accessories and is durable in even the harshest conditions. Without a doubt, the GoPro Hero4 Silver exceeds expectations while providing convenience and ease of operation. While it is expensive, this camera delivers a high-quality, fast speed, limitless versatility, and optimal performance in a compact, long-lasting package, making it a top-of-the-line model worth every penny. The GoPro Hero5 Black, recently released after much anticipation, is the first model to offer more professional-level features while retaining and enhancing the GoPro camera’s fundamental characteristics. It features new options that will help create stunning video and images, as well as operate on a revolutionized interface which makes it easier to use a wider array of recording possibilities and user-friendly experiences. Perhaps the most significant external improvement to the new Hero5 camera is its waterproof body, which can now operate safely at depths of up to 33 feet without the need for a separate underwater housing. This camera also has 4K video with image stabilization, GPS, voice-activated control. One of the Hero5 Black’s most notable improvements is its ability to shoot 12 MP RAW images, giving users more control over editing their photos. Additionally, there is now a wide dynamic range mode, which provides sharper details in shadowed, highlighted, or uneven lighting conditions. Photos can also be stored in JPG format, limiting their size to 5-7 MB per picture, which can free up excess storage space on your SD card. GoPro also improved the 4k video resolution operations and background noise reduction features so that videos are clearer and sharper than ever before, which can lead to a lot of high-quality videos. The most noticeably different features of the GoPro Hero5 Black are showcased in its new body style. This model boasts a sleek, matte black finish with a rubber housing to offer protection against harsh environments. It is also the first model that doesn’t require external housing and can be used as an underwater camera up to 33 ft. The combined waterproof features and durability of the design alone makes this model worth the upgrade if you are keen on water sport activities such as jet skiing, surfing, rowing, and swimming. The new lenses are significantly more scratch resistant, and replacement lens protectors are now available, so the entire camera isn’t damaged if you scratch the lens. Like the other GoPro models, the Hero5 Black offers the same extensive collection of GoPro Hero accessories such as monopods, helmet clamps, chest mounts, suction cup mounts, and arm bands. With all of these available, it’s virtually impossible to be in a condition or place where you couldn’t use the camera. The touch interface on the Hero5 Black has been remastered to be more intuitive and allow access to all the camera’s features with ease. The settings are easier to access and change, playback mode is quick to load and slide through photos, and you can switch from video to photo with a single tap. Previous GoPro cameras are notorious for the fish-eye distortion in wide-angle photos, but the new Hero5 Black offers a linear view setting that mitigates this and produces beautiful, proportional photos, especially when used with a camera drone. Voice control eliminates the need for a Bluetooth connection when using any accessories that prevent you from accessing the shutter button, making it easier to take photos from any angle or position. The camera is supportive of seven languages and this feature can be used for starting videos or finding highlights. The 1220 mAh lithium-ion battery is removable (unlike its sister model the Hero5 Session) and allows you to carry several charged batteries for excursions that may limit your access to a charger. The biggest drawback to the Hero5 Black is that the touch screen can glitch sometimes. If this deters you from buying the Hero5 Black, the Hero4 Session model offers the same quality photos and recordings without the hassle of the screen, at an even smaller size and more attractive price. The Hero5 Black only offers digital image stabilization, which can sometimes produce low-quality photos than those produced by optic image stabilization. While it has improved technology and a more durable frame, the GoPro Hero5 Black is slightly larger and heavier than its predecessors, which means it doesn’t float. This can be fixed through the use of a floaty accessory, which improves the visibility of GoPro cameras in the water and ensures they don’t sink past their waterproof capabilities. The voice command technology is new, and thus not optimized yet. In still and quiet conditions, it is responsive and effective, but in windy or other noisy conditions it requires a wireless voice control remote. 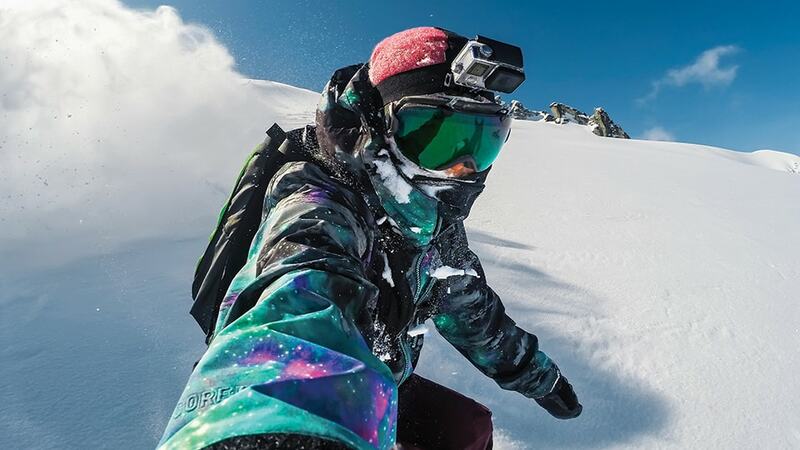 The new GoPro Plus subscription service is a cloud storage subscription that allows you to upload pictures or videos to the cloud when connected to Wi-Fi, even without a wireless router. This eliminates the need to manually plug the new GoPro camera into the computer, and allows you to access your content from Android or iOS devices, as well as your computer. The only downfall to the cloud service is that it automatically converts videos to [email protected], regardless of what resolution they were captured in. While this gadget is marketed as a high-end GoPro, its durability and versatility combined with its ease of operation makes it suitable for everything from home videos to adventure sports. It proves to be a valuable asset to anyone and offers the highest level of convenience without compromising on quality. It’s not a great “bang for your buck” camera, but it is well priced, given that it’s waterproof, has good video quality, and has a wide variety of mounts available. If that covers your main needs, it’s worth buying, especially if you’re looking for an inexpensive way to do multi-camera shoots. The GoPro Hero is a high-definition camera that shoots 1080p30 video, has an ultra-wide angle lens and integrated waterproof housing, and delivers high-quality photos and videos, all at an affordable price. The GoPro makes it easy to capture the beauty of nature in lifelike quality on any adventure, like hiking, boating, fishing, or even skydiving! The GoPro Hero Camera is designed to withstand the most extreme conditions in any environment. It can survive while on the summit of a blustery mountain, the sudden storms during rainforest hikes, the sweltering heat on an African excursion, and even during a Caribbean snorkeling trip. However, this is not to say that it isn’t also perfect for capturing the final moments of a nail-biting game or relishing the moments of your favorite band’s concert. The video quality exceeds expectations for clarity and stabilization. It also captures sound at an appropriate volume while eliminating excess background noise. Its battery life can go up to 4 hours for a high-quality video recording, but when it does need to be charged, one of the most convenient features of this GoPro model is that it can be charged with an iPhone cord. The GoPro software is easy to use, and allows for minimal editing and sharing with friends and family. It makes an excellent gift for people of all ages. The GoPro Hero Camera is designed for beginners, so it lacks some of the more advanced features seen in other models, such as Bluetooth capability. It also lacks a tripod mount, and while it is compatible with some car camera mounts, it doesn’t have a dash cam mode for video looping. Taking photos and videos with the GoPro Hero can be challenging as it lacks a screen and zoom features. While there is fun in the “surprise element” while reviewing photos, it can be incredibly frustrating to not have a clear idea of what exactly you are looking at. It also doesn’t support Wi-Fi, meaning it requires you to do a manual hook-up to a computer in order to review, edit, and share photos. Some sound recordings and photo features of the standard Hero do have reduced performance compared to the other GoPro models. For example, the microphone tends to pick up background noise and the camera doesn’t function optimally in lowlight conditions. The time-lapse feature in this model isn’t adjustable, so it automatically captures a series of pictures at half-second intervals. The battery isn’t interchangeable, so once the GoPro camera dies it must be plugged into a power source. With the appropriate adaptors it can be charged from an external power pack or vehicle plug, but this does pose an inconvenience in some situations. High-impact action shots and videos typically turn out choppy from this model due to the lack of stabilization. While it still performs well for a variety of activities and conditions, anything with a lot of constant motion and bouncing, such as mountain biking, develops poorly. This GoPro action camera has been known to freeze and require a restart. This can be especially frustrating because without a screen, you may not realize it is frozen and try to continue capturing photos to no avail. While the traditional GoPro Hero is undeniably a great action camera with a ton of features, new technologies have dramatically improved the quality, making them more attractive to consumers. Who will like GoPro Hero Camera? The original GoPro is perfect for beginners who are not comfortable spending a lot of money on an action camera quite yet. It allows room for an upgrade, but still provides better quality shots and videos than those taken by other devices, such as an iPhone. It’s the perfect camera for families who are simply looking for something to record their memories. The camera can even be mounted to the dog! Hero3+ Black allow us to reflect upon memories, and offer us a digital means of reminiscing. But they aren’t only for personal reflection. Photos and videos can mend the pain of distance by allowing us to share these precious moments with friends and family who couldn’t physically be present. Because of this, a wide array of cameras are available in today’s market, but none can compare with the GoPro. The demands of today’s consumers are high, they want something that is high-quality, but at a low cost and is convenient. Professional cameras offer outstanding quality, but their price tag and size reflect that. Low-budget cameras are often compact and easy to use, but produce pixelated images and are unable to adapt to changing conditions. Even with the range of cameras available for us to buy, only the GoPro, including its Hero3+ Black Edition model, can rise to the challenge and capture high-quality images in any conditions at a relatively budget-friendly price. The GoPro HERO3+ Black Edition is a camera that transforms basic stills into photographic marvels. Its small body and lightweight frame can be deceiving, as it excels at providing top-notch shots in any condition and environment. A waterproof housing unit extends the reaches of the GoPro Hero3+ Black Edition even further by withstanding submersion of up to 40 meters! Panoramic shots are attainable by using the SuperView wide-angle option, and produce stunning landscapes, cityscapes, and other wide-frame shots without distortion. Smartphone connectivity through the GoPro app makes this already versatile model even more accessible with the ability to instantly view, edit, and share photos through advanced Bluetooth technology. The GoPro Hero3+ Black model has recently risen as the most popular camera, and now features the capability to attach an external LCD screen for viewing photos and videos directly on the camera. Also, BacPac technology has been specifically designed for the Hero3+ Black Edition and can hold an additional battery for longer camera life. The HERO3+ Black Edition is developed for consumers who are serious about achieving high-quality photos and videos in every situation, whether it be an adventurous journey, picturesque landscape, or sporting event. It’s designed with the user in mind, operating in a minimalistic fashion on a simplified system. The compatibility with the GoPro app makes operating the camera even easier by allowing users to control the camera remotely via tablet or smartphone. Ultimately, the GoPro HERO3+ Black offers professional quality images at a beginner’s level of operation in a conveniently sized package. 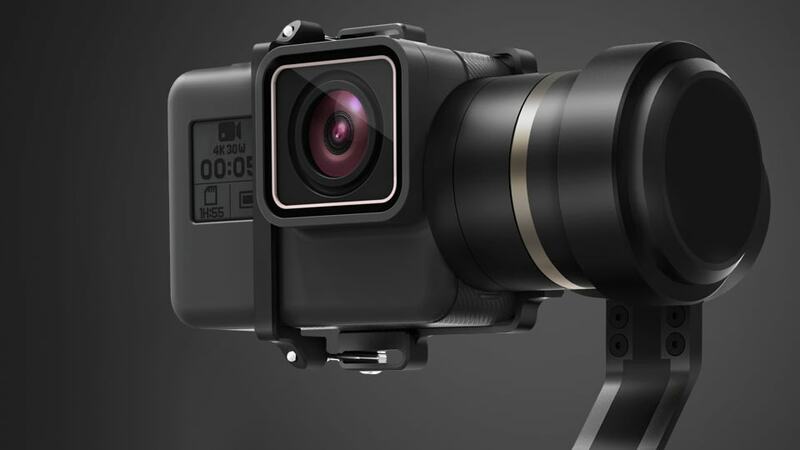 Features including built-in Wi-Fi, app connectivity, and waterproof housing makes this camera’s potential limitless. You’ll be able to document everything from high-action shots, breathtaking scenery, and simple family photos. 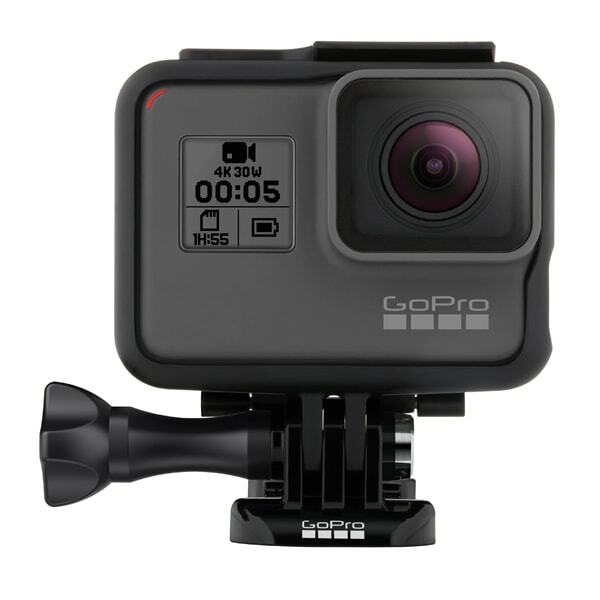 It comes with a higher price tag than other GoPro models, but is still cheaper than the competitors who fail to meet the standards of the HERO3+ Black. While the LCD screen is a luxury feature now incorporated into many GoPro models, some consumers seek a more rugged, simplistic model that can still provide fantastic images and videos. If you want a camera that can be right in the middle of the action with you without any excess features or added bulk, look no further than the Hero4 Session. It’s the smallest model currently offered by GoPro, yet boasts the most durability, making it perfect for action photography. Its lightweight and wearability are the hallmark features of the Hero4 Session. Coming in at just 74 grams, this edition is half the size of its predecessors, making it especially easy to mount to many accessories without posing any discomfort to the user. While the screen offers a visual aide to other GoPro camera models, the simplicity of the HERO4 session lies in its one-touch operation. One button is able to control a variety of settings directly on the camera for a hassle-free experience that never fails to produce astounding imagery. Some consumers may assume that the reduction in size correlates with a decrease in video quality, but the HERO4 Session will quickly prove them wrong. The smaller size doesn’t prevent the Session edition from recording video in Full HD quality or limit its recording options. Like the HERO3+ Black, the HERO4 Session is compatible with the GoPro app, allowing you to sync your 8MP wide-angle photos, time-lapses, and bursts onto your smart device instantaneously, as well as control the camera remotely. What is the HERO4 Session from GoPro good for? Like all action cameras, the HERO4 Session is designed for being mounted on accessories to help capture objects in motion. The Session model, in particular, is especially popular among action filmmakers/photographers for its unsurpassed quality in a lightweight, compact model. Another attractive feature of this model is its toughness. It is the most durable of all models on the market right now, making it capable of withstanding any type of condition. If size and durability are two of your top priorities when purchasing an action camera, the HERO4 Session is for you. It’s a tiny package that packs a big punch in quality, but lacks the luxury features of other models that some might find excessive. For a tiny camera with HUGE potential, nothing beats the HERO4 Session! GoPro is a renowned company dedicated to providing products tailored to a dynamic range of photography styles. Its focus is mainly on high-speed action photography, but it doesn’t neglect those looking to purchase a camera less fragile than other styles without compromising on quality. One of the action-friendly features of all GoPro cameras is their toughness. While some are better than others, all makes and models of GoPro offer resilience in harsh conditions and have waterproof capabilities. GoPro waterproof cameras are versatile and durable, and keeps their high-quality abilities even when under extreme conditions. Another feature important to action lovers is the universal mounting system and availability of mounting modules. These different mounts allow for the best GoPro cameras to be submerged right in the action, regardless of what or where that action is. Choosing the best GoPro camera model for your needs can be overwhelming. Each model is targeted to a specific audience, and the aim of this review is to help you decide which camera and accessories are best suited for your personal needs. For experienced GoPro users looking to upgrade their current model, we recommend the high-tech GoPro Hero5 Black as one of the best GoPro cameras on the market. However, newbies to action photography can still capture stunning portraits and videos with the simpler and cheaper GoPro Hero which doesn’t have a high price tag. A variety of factors will contribute as to which GoPro is best, so it’s important to consider things like your budget, how you’ll use your camera, how often you’ll use it, and what extra features are important to you. We hope this review has helped you achieve that, and we wish you luck with all your future action photography endeavors! GoPro cameras alone are far inferior to the GoPros that are fully equipped with a solid accessory pack. Where they really excel in their flexibility and versatility is their ability to mount to a whole array of products. Many GoPro brand accessories are available to accommodate the needs of GoPro users, and most are both durable and stylish! Investing in a Housing Mount is a MUST for optimal GoPro versatility. The cameras themselves lack the ability to mount to accessories, but the compatible housings offer a standard two-prong interface or buckle that can match with the correlating mounts. 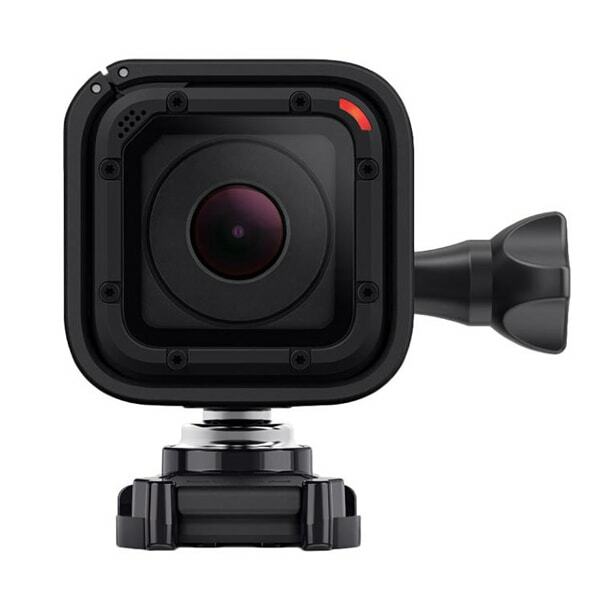 Housing is typically included with the GoPros, but can also be purchased separately. Tripod Mounts offer stability like no other mount, making them perfect for capturing time-lapses, self-portraits, or landscape shots. They eliminate any shakiness that might come from taking photos by hand, which means it enhances the quality of your images. In addition to tripods, monopods (also known as selfie sticks) are available. 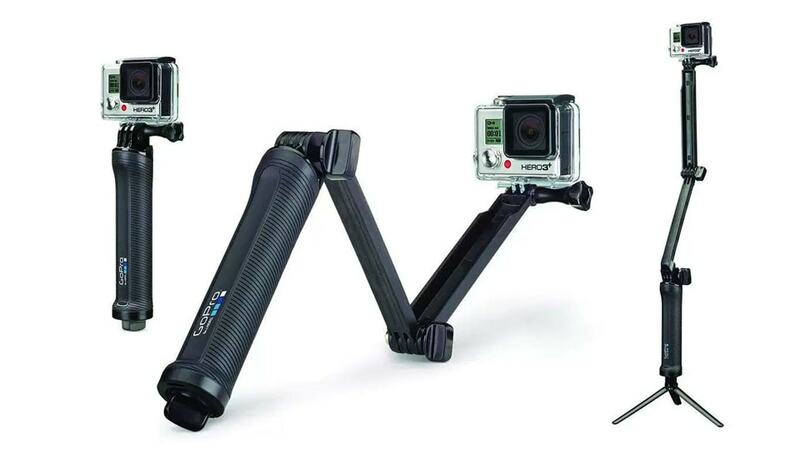 Tripods and monopods generally include a standard 3-prong adapter to which you can secure your GoPro to. Like adhesive mounts, the Surfboard Mounts stick directly to the board, but are designed to withstand water and pressure better than typical adhesive mounts. These types of mounts are also excellent for boats, kayaks, decks, or any other surface frequently exposed to water. They also include protective camera anchors and tethers to ensure your camera won’t accidently fall into the water. The Jam accessory is tailored to musicians and designed to grip instruments such as drums, guitars, and mic stands to capture unique angles, such as a guitarist plucking strings. It has an articulating arm, which offers increased customization capabilities and adds a visual element to the art of music. The GoPro Helmet Front and Side Mount is an adhesive mount that attaches to your helmet and comes with a swivel adapter that lets you adjust your camera to different angles. The GoPro Helmet Strap Mount is designed for vented helmets and can be secured by strapping it into the vents. For police and military personnel, GoPro also offers the NVG (Night Vision Goggle) Mount, which is designed to attach into standard NVG helmets. For slow-paced water activities, such as kayaking and paddleboarding, the Floaty is the perfect accessory. It is a bright orange flotation device that attaches to your GoPro like a buoy, keeping it both afloat and easy to spot. It’s designed to be used with the camera housing, and is compatible with The Frame and Dive Housings for the HERO5 Black, and the Standard and Dive Housings of the HERO4 models. It attaches to the backdoor of the housing using an adhesive anchor, and it comes with spare backdoors for The Frame and Standard Housings so you have one backdoor for regular use and another one for the Floaty, preventing you from having to take everything apart each time. External mics allow you to enhance the quality of the GoPro built-in microphone. This accessory requires special adaptors that connect via the camera’s USB port. This accessory is unique to the HERO4 line of GoPro cameras. It has a foam windscreen designed to reduce wind noise, which improves the audio quality in video recordings. It is especially helpful in windy environments, but can help reduce background noise in any outdoor scenario. Virtual reality (VR) is a rising trend, gaining most of its popularity in 2016. This really took off when Samsung released the Samsung Gear VR glasses, designed for viewing 360-degree videos. To adapt to this trend, GoPro developed 360-degree rigs designed to hold multiple GoPros together at different angles, so that each one captures a different area of the location. The recordings are then stitched together in a 360-stitching software and can be viewed with VR glasses or at VR rigs. The GoPro Karma Quadcopter made big waves when it was released in late 2016. Karma is a compactable drone, revolutionizing the industry and making aerial footage accessible to the average consumer. For more controlled aerial footage, the stabilizer in the drone can be removed and combined with the Karma Handle, and put into a complete 3-axis handheld stabilizer, the Karma Grip, which is sold separately.